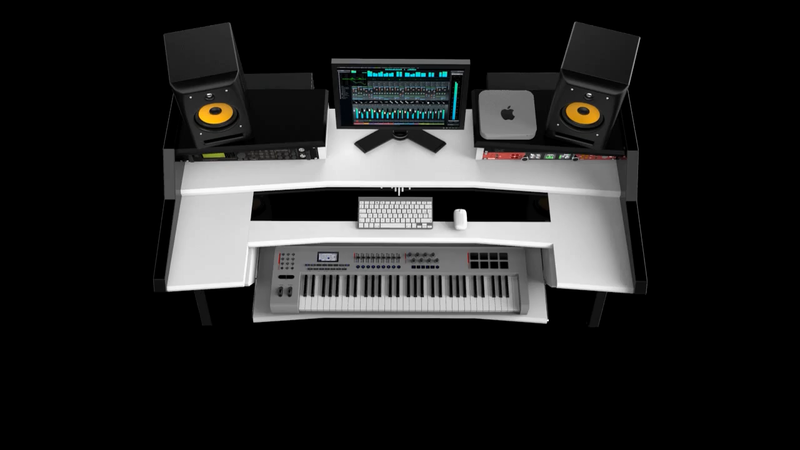 The beat desk was designed for home and professional producers with a limited space. 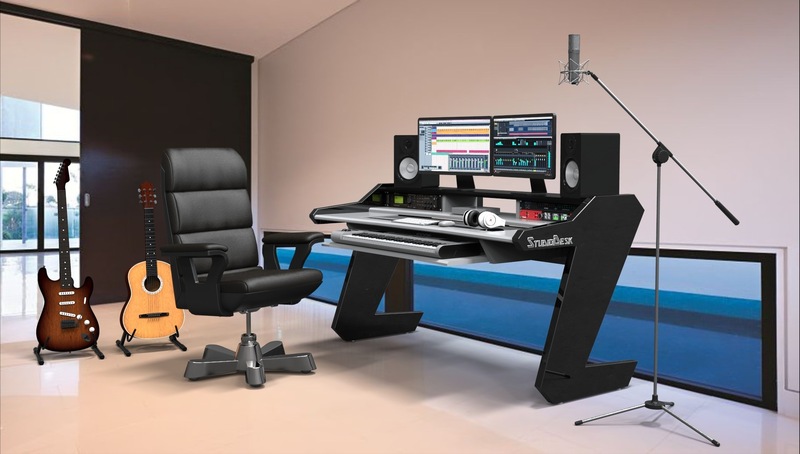 Crafted with special care to meet needs of smaller setup, yet covering all ergonomic and practical aspects of a home studio. 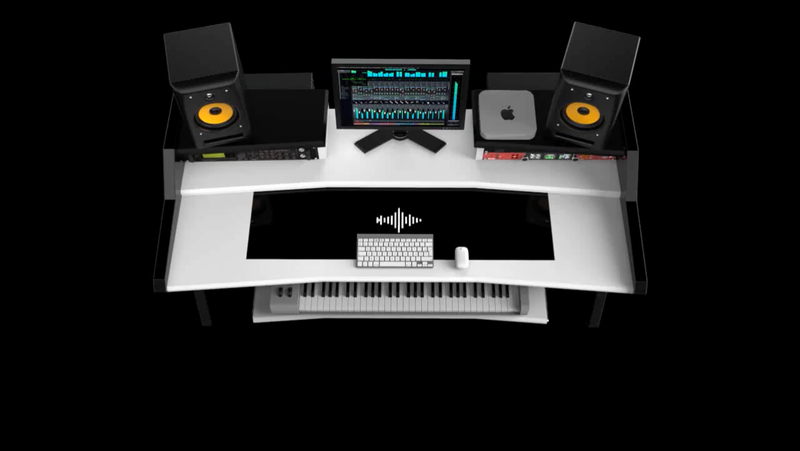 With some unique elements, the Beat desk provides more Space for your gear you would ever expect from the desk of this size. 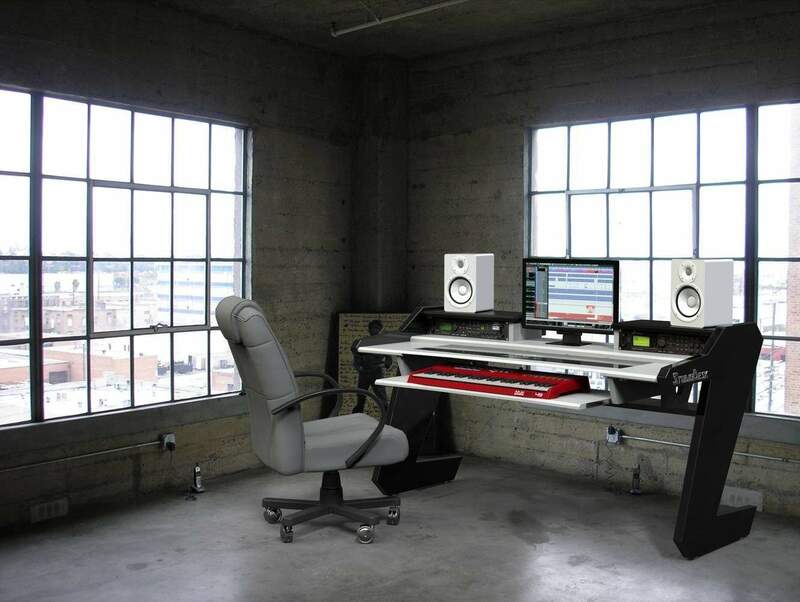 Put your equipment on it and let your creativity be unleashed. Spacious and angled top shelf is long enough for two 24” monitor screens and speakers, angled towards your sitting position, putting you in the sweet spot. 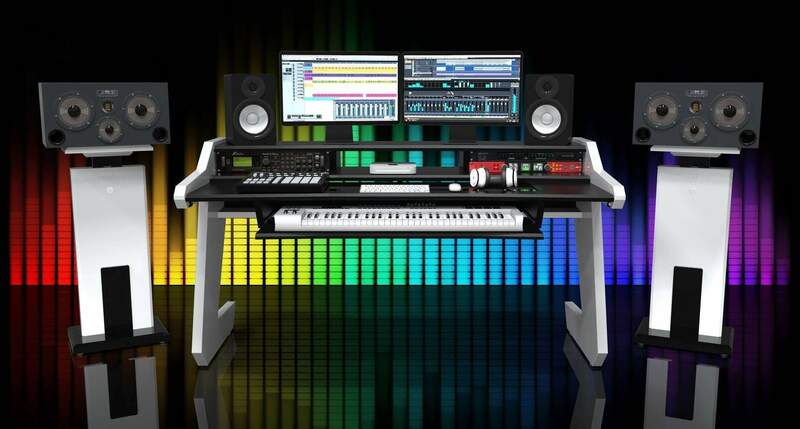 Keyboard tray will accommodate most of 61 key midi controllers. 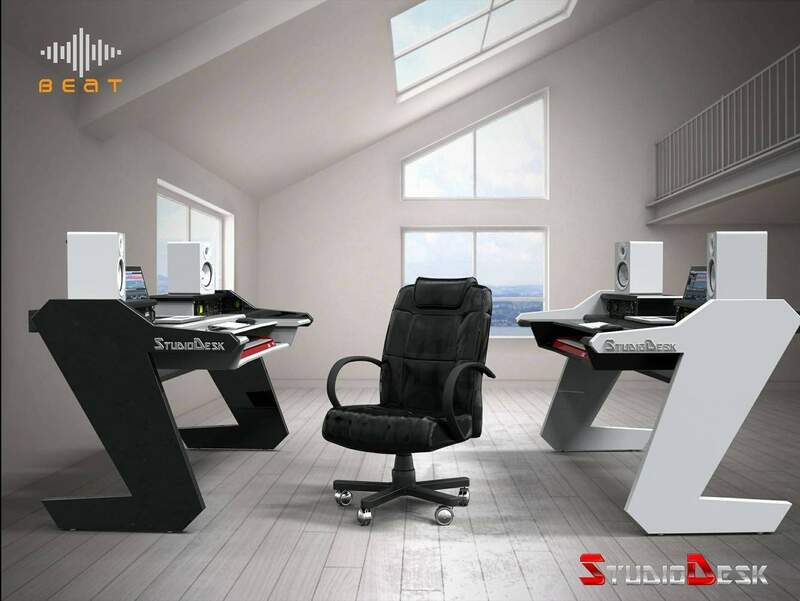 The main desk surface shape gives you better access to your keyboard. Keys of your keyboard will sit at average Piano Grand height. One of a kind feature “Desk surface smart push in” will uncover your keyboard, even more, allowing you to get closer to your screens. 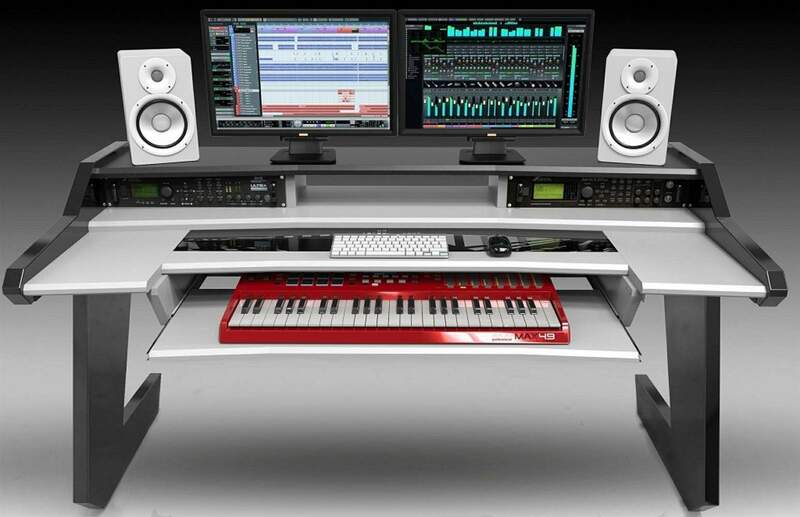 Up to total of 4 U rack components can be installed on the both sides of your desk Always within your reach. Cable management will keep your cables away from your site. Our workstation desks are made to last decades. 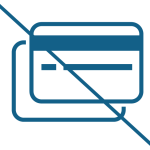 We only utilize high-quality materials with special attention to quality finish. Lacquering process used in our production is one of the best in the Industry resulting with the perfect shiny glossy lacquer reminds to a mirror. Desk surfaces are finished with the matter non-reflective paint. Special tempered black glass accent with imprinted logo has been added to the desk giving it more sophisticated and sleek look. We know how easy assembly is important to you. Our desks are designed to be assembled without any drilling. 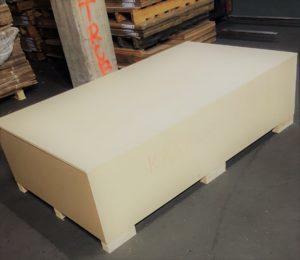 It can be assembled by anyone following our step by step. All connecting components are thoughtfully planned. Your desk can be easily disassembled and assembled again on the other location if needed. All designs are made with attention to aesthetic and modern look which will be noticed by your visitors and not easily outdated. 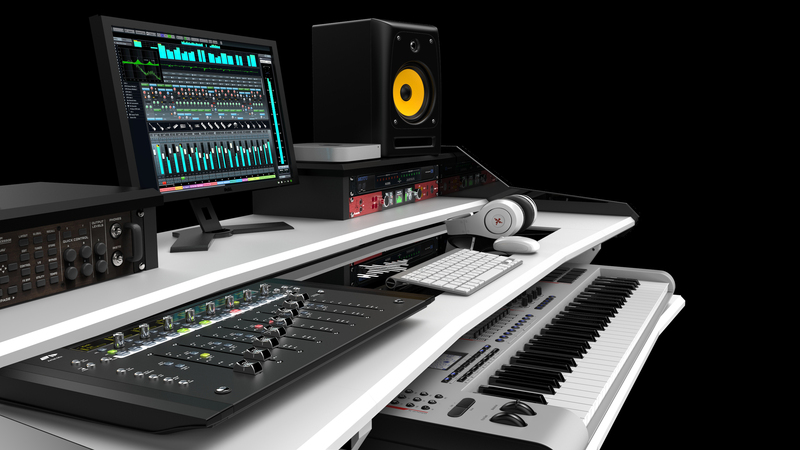 I’ve been using the StudioDesk Music Commander (All Black) in my studio for a couple weeks, and all I can say is WOW! 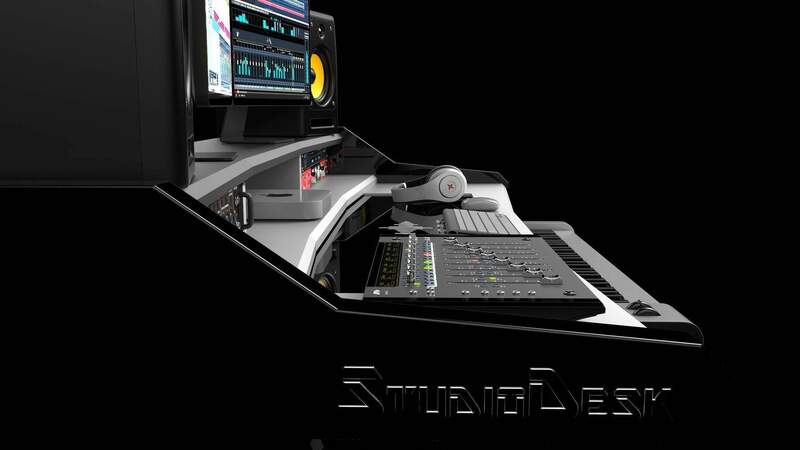 The desk is extremely high quality, and very intelligently designed. 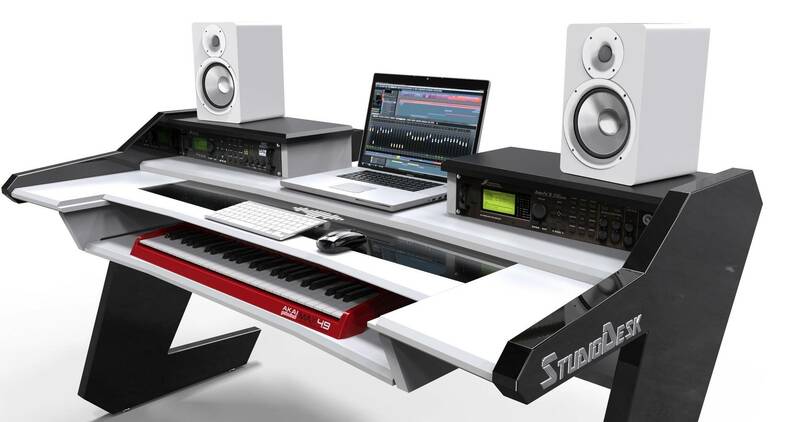 The high gloss piano-like finish on the legs of the desk and keyboard stand is absolutely gorgeous. Assembly was incredibly simple. 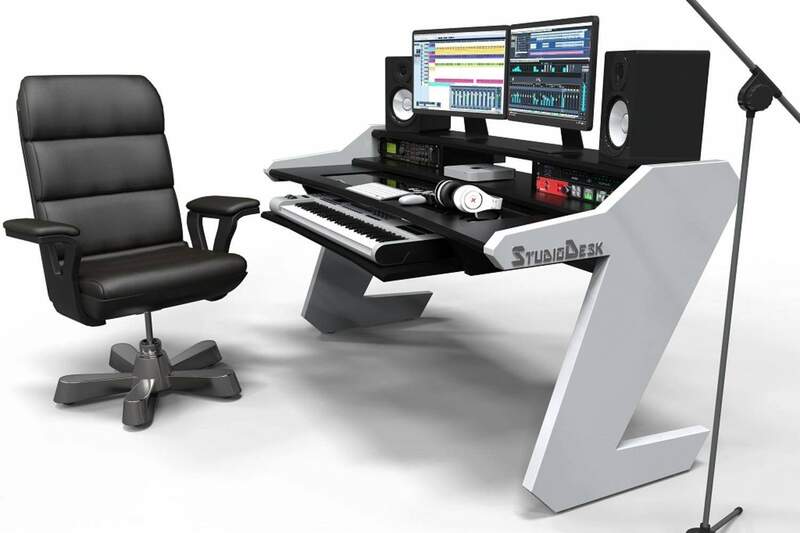 This is one of the best investments i’ve made which plays no part in the sonically output of my mixes & master but to sit at this beautiful, comfortable desk, just give me that comfort and inspiration i need when i’m in the studio, just working and focusing on the mix, everything at arms reach, everything at the perfect height, such a well engineered workstation. 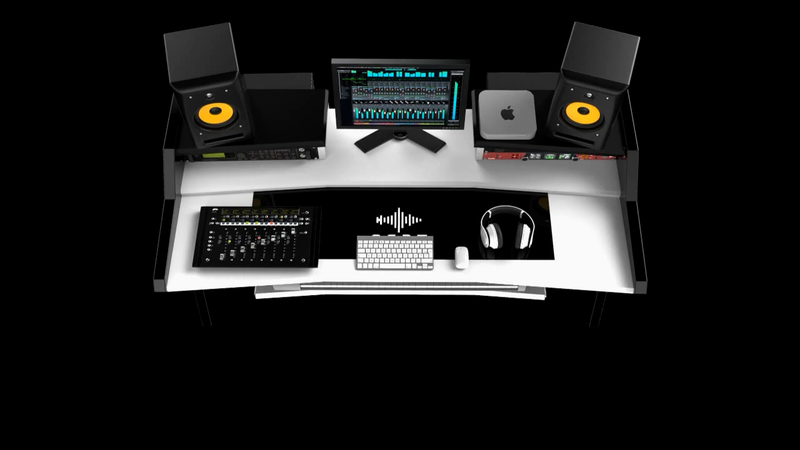 My clients walks in and straight away comments on the professionalism of the studio setup. Highly recommended if you’re serious about being a music commander controlling your workstation. 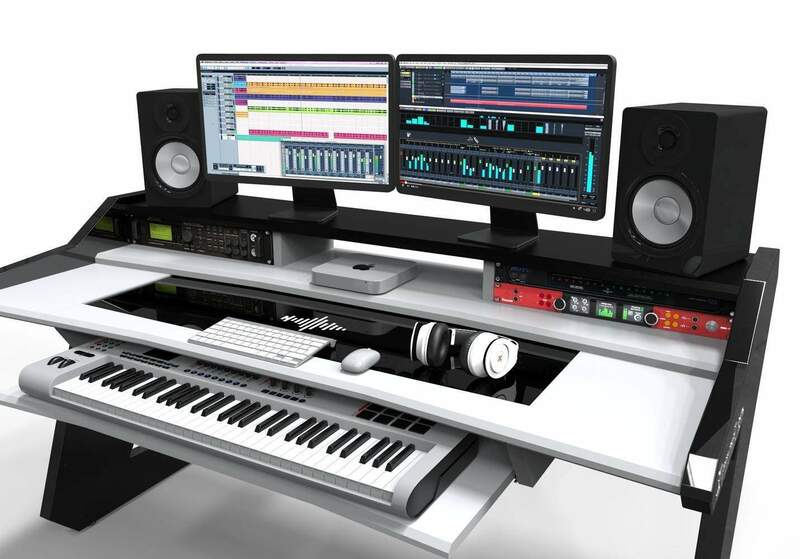 I’ve never been so comfortable making music before until I bought this desk. Way more work space than ever, perfect position when playing the piano, amazing design where just looking at it motivates you to just create. 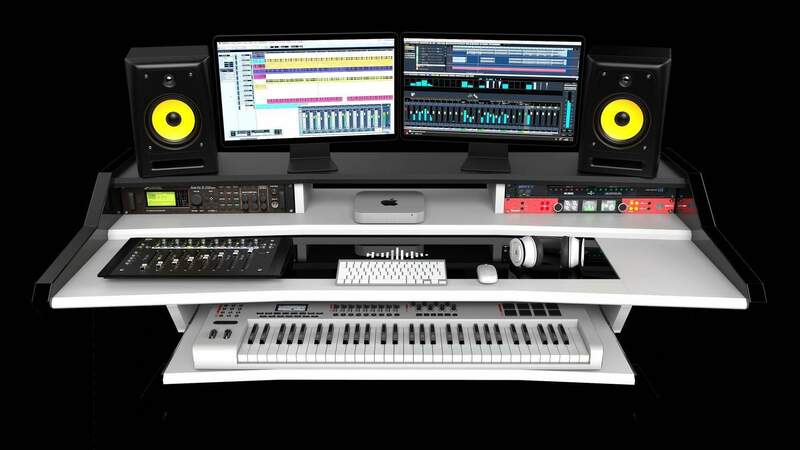 I HIGHLY recommend this desk, you will not find anything better than this for a home studio desk. Great Job to the whole staff! 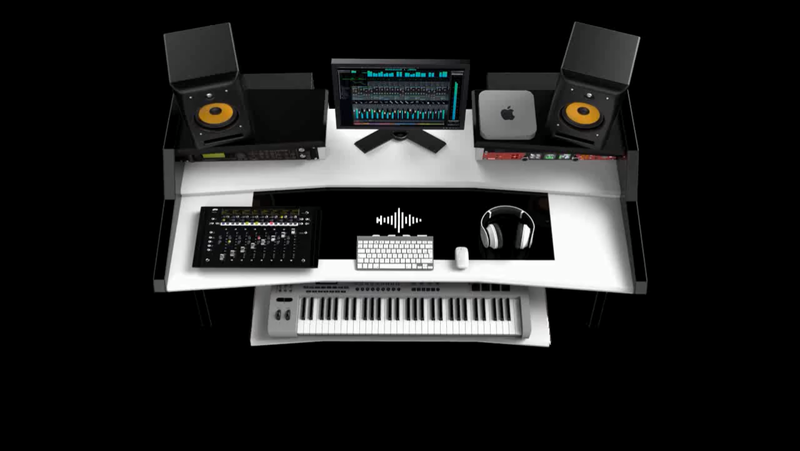 I LOVE THIS DESK!! !